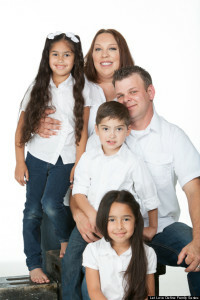 Nine years ago when I walked into my first fost-adoption training here in California, I was welcomed to build a family. However, I also understood that the family I created would have to face a different set of rules. At the time, I wanted to have children so badly that I accepted that the family I created could not receive the same protections and benefits as the majority of the other prospective parents in my class. My family was different. We were destined to be different. I accepted that and moved forward. In my call with Gabriel Blau, Executive Director of Family Equality Council, I shared our recent discoveries. RaiseAChild.US outreach efforts and program services are not only attracting more LGBT people, but also beginning to attract increasing numbers of heterosexual prospective foster and adoptive parents to our website and events. It is a fact that surprises the RaiseAChild.US staff and also makes us proud. Read the full story at Huffington Post Queer Voices by Rich Valenza at http://www.huffingtonpost.com/2014/11/12/recognizing-equality-let-love_n_6139476.html .